Today’s professionals work hard. It’s a challenging world out there with a dog eat dog mentality. Fresh out of college, all you want to do is join the game and start making mega bucks to live the type of lifestyle your ancestors would be proud of; the cars, the travelling to exotic locations, the stock portfolio, and the beautiful family you’ve always wanted. How Do You Choose A Home For Sale In Sea Pines? Choosing where to live is a life changing decision, and your status in life factors into this as well. The environment you want your kids to grow, the neighbors, facilities, access to good schools and club facilities, maintenance, safety and security. All of these are items that you need to consider when you are purchasing a new home. Affordability is not the problem. Thanks to your success in life, you have the funds to purchase your dream home. You don’t need help affording your dream location, but you might need help finding it. 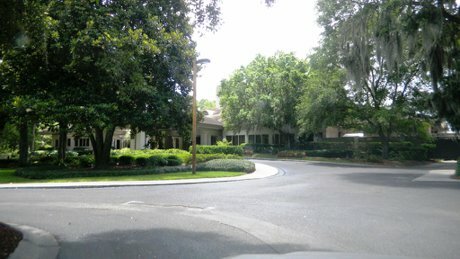 That is where top real estate companies in Sea Pines like The Pattisall Group come into the picture. Sea Pines Plantation has almost forty beautiful neighborhoods to choose from; let us help you find the one for your family! 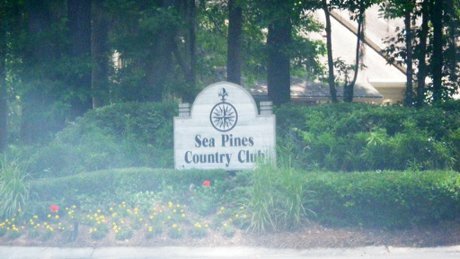 Sea Pines has a ton to offer: homes, condos, villas, and even unbuilt lots are available for sale. A lot of the time people don’t even know the type of property that will be the best for them, such as looking at buying a condo vs buying a house. You can also find a Sea Pines home based on the area that you want to live in, such as Sea Pines Ocean, Audubon Pond, Baynard Cove, Beach Lagoon, Greenwood Forest, and Calibogue Cay. These names sound good and they are even better experiences for living spaces. Sea Pines Plantation is one of the safest areas on Hilton Head Island; a gated community perfect for raising your family. I have had to go on many house and neighborhood inspections with eager real estate agents looking to make a sale. They do the talking. My visit to the neighborhoods like Sea Pines Plantation had me doing the talking. My guide could see the eagerness in my face and she made an effort to take me to the areas that she thought would be most enticing to me as a home buyer. They were the most full-serviced private community in terms of amenities I have ever seen. They had unique areas that easily distinguished each neighborhood from the others, giving you a good reason to socialize with people from different neighborhoods. You might not choose a beachfront property, but you could end up good friends with the couple down the block who rent a sandy beachfront accommodation. A great example of the diversity of the communities in Sea Pines is the Heritage Farm area. Heritage Farm has plots for private gardens if you’re someone invested in growing your own produce or herbs. And who doesn’t in this day and age? Organic living is an increasingly growing trend, and growing my own vegetables is already a plus for this place. Living in a concrete jungle like New York, I have come to appreciate the beautiful, lush environment and serenity offered by the location. As I said in the beginning, it can be really competitive out there. So if you manage to come up in the world and generate great success in your life, why not invest in a great property that you and your family can enjoy? Making the decision of where to live is hugely important, especially if you have a family, so there’s a lot to take into consideration. This is where The Pattisall Group was able to step in and take the wheel. They showed me properties throughout Sea Pines that met or exceeded my expectations; every one a complete gem for its own diverse reasons. The realtors showed me homes for sale in Sea Pines in a way that made me feel like I had stumbled onto an episode of House Hunters. South Carolina is a great place to live overall, but the Sea Pines area of Hilton Head Island is simply too good of a place to resist for this property buyer. The forest reserves, the ocean views, the warm sandy beaches; there is a lifetime of exploration and enjoyment here for the whole family. If you are serious about purchasing a property that will leave you speechless every day, connect with The Pattisall Group at https://www.thepattisallgroup.com/sea-pines/ and make your dream home a reality.